The MedicsPM practice management system for medical billing (RCM) companies has a nearly 99% success rate on first-attempt clearinghouse claims. HCFA or UB claims. Workers Comp / No-Fault. All primary and specialty billing nuances including anesthesiology, behavioral health, and radiology. Multiple cases per patient. A nearly 99% success rate on first attempt clearinghouse claims. The EDI supported by the MedicsPM is extraordinary and will be appreciated by your clients. 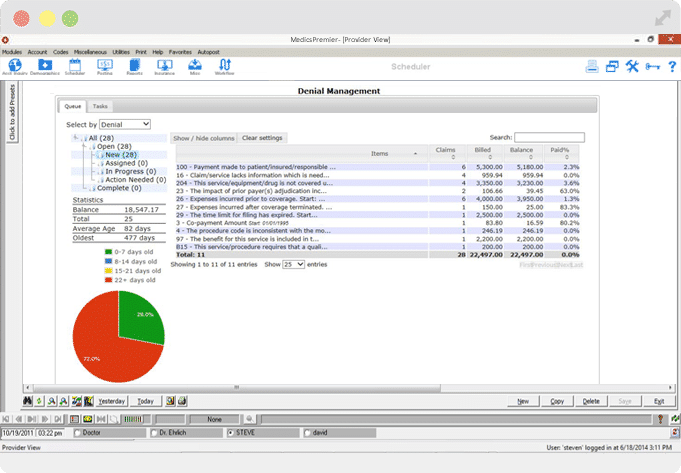 The built-in Medics Claims Denial Manager is elegant in design and functionality. 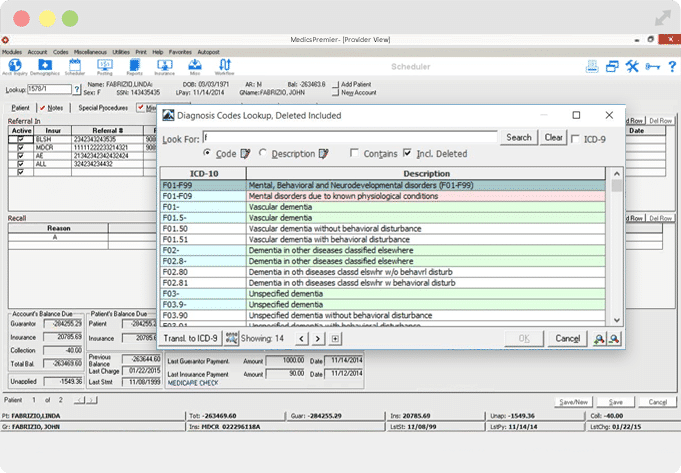 Denial details are displayed supporting quick edits with resubmissions in one pass. Vision™ claim tracking displays pending claims in real-time as they appear in each payer's queue. Your clients will appreciate each of these capabilities. Medical billing companies understand the importance of multiple, secure tax IDs in preventing the inadvertent comingling of patient data. Directories are also available for totally segregating clients. 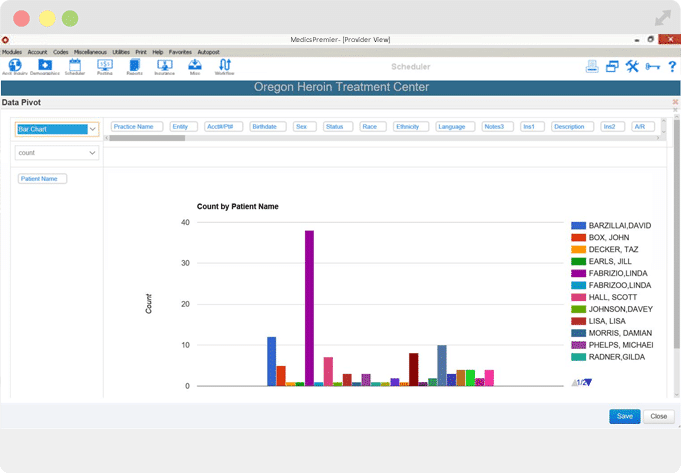 Master Patient Index (MPI) architecture eliminates creating duplicate patient records while empowering clients to locate the exact record being searched. Your clients can be remote users on your MedicsPM system with our MedicsMobile capability for smartphone connectivity. 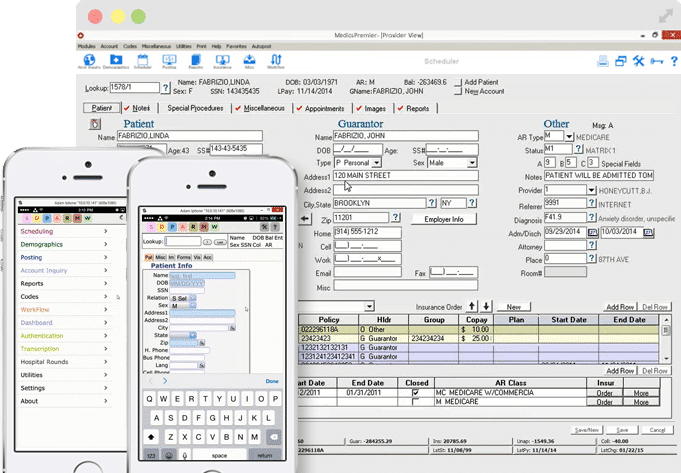 MedicsMobile is excellent for general remote access to schedules, patient demographics, posting diagnoses and procedures, etc. Users’ levels of access can be controlled, from read-only to more expanded capabilities. 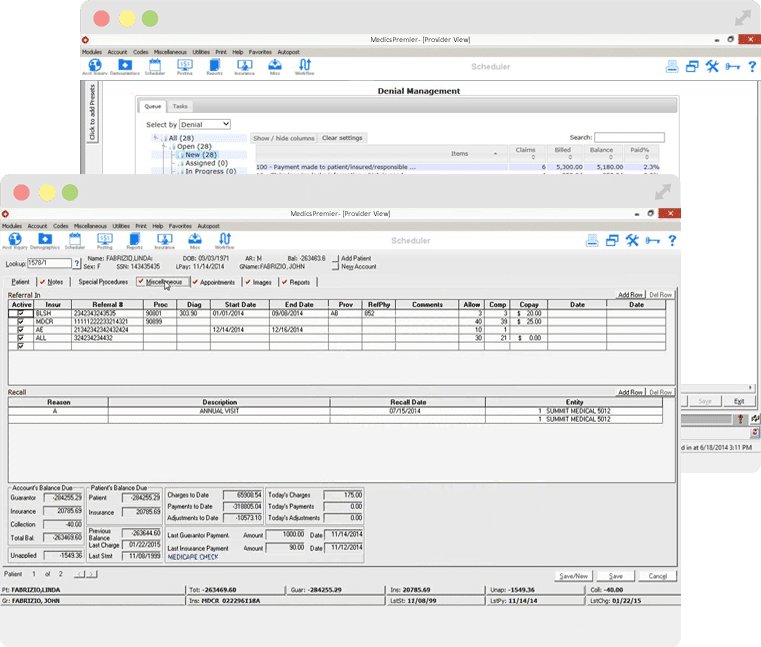 Built-in financial and management Reports are comprehensive and robust and do not require expensive add-on report writing utilities. Hundreds of MedicsPM reports are available. Reports can be displayed in a variety of formats, can be scheduled to compile automatically, and virtually all are exportable to Excel™. Give your clients a way to deliver faster, better documented patient care using our MU Stage 2 certified, ICD-10 compliant MedicsEHR. With specialty-specific features, the system produces optimized efficiency and workflow, eliminating paperwork and redundancy. The Medics ICD-10 Code Converter is a simple, easy-to-use mechanism that displays ICD-10 code equivalents either by the current ICD-9 code or by a text description of the code. The Medics ICD-10 Code Converter is accessible as a no cost, built-in capability. Take advantage of ExpressBill™ as a quick, seamless method for offsite production / fulfillment of patient statements. And, e-Statements can be utilized with an ability for patients to pay securely online directly through their e-statements. Let us show you how you can boost your clients’ profitability and productivity.